It’s about 4:30pm on January 1, 2000, and I’m in my under-insulated chilly northern Tokyo apartment, slowly waking up after having shuffled home at sunrise from a night out dancing in Shibuya. 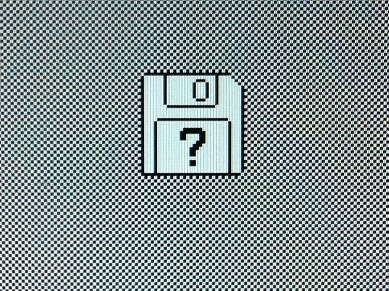 I slowly roll over onto the tatami mat, press power on my Powerbook 3400c (briefly the fastest laptop in the world) only to find the 8-bit floppy disk question mark icon blinking groggily back at me. My first thought: “Wow, did the Y2K bug hit me too?”. We were all so paranoid about the possibility of it locking up the networks of the world back then; looking back 16 years later, that anxiety seems silly. In the end it was simply a hard drive failure and I lost everything on my Powerbook, including years of music I had been working on as well as all of the electronic correspondence I had collected since I first went online in 1994. But at 22 years old, it seemed to be one more omen reminding me that I needed a fresh start. After all, it was a new millennium and I wanted to be a new person. Why not just let it go and start again? Fast forward to today, as we’re barreling towards the close of another year. In contrast, two things stand out to me now in comparison to those early days: 1) in 2000, I was confident my electronic past could be forgotten 2) the machines we used were so stupidly unreliable. It seems clear that devices we all use now function far better but we have also regressed in having even the lightest ownership of our electronic information. I have dropped, spilled water on, and abused my poor iPhone in a hundred other ways but it doesn’t stop. And the same with my lean MacBook Air. Compared to the soft/hard-ware of the late 90’s and early 2000’s, these things now are built like tanks. Finally we can actually use them as they were meant to be: as tools for cognitive augmentation and seamless communication. And for that, they are almost magical. And every day at Eyebeam, I see them pushed even further into areas of wholly new invention at a level I cannot remember at any time previously. Our residents are developing everything from new bacterial printing techniques to creation of online platforms which make exponentially more probable the abolishment of solitary confinement in the United States. The potential scale and impact is far beyond what an individual artist could dream up in 2000. But as a dark parallel, there is no clear line of demarcation between my personal correspondence and a host of government agencies, none of which have inspired trust in their discretion. This impacts the way we all communicate now, both personally and publicly. The other day, my partner was at JFK and I wanted to send him a text message about BOMB magazine. But I ended up not sending it because the last thing I wanted was for geo-locative monitoring systems to pick up the word “bomb” on his iPhone and give him another headache as he worked his way through the holiday security procedures. Any sort of trust in the system as being private is completely gone and I think we have yet to understand the contours of what that is doing to the way we talk and interact with one another. As the newly minted director of Eyebeam, I am able to beat the drum for development of alternatives to this reality. After all, the organization was born in the late 90’s and while a lot of the utopianism of that time was unfounded, I still do believe in many of the fundamental building blocks held true then. For example, I think that the construction of HTML links are more directly modeled on the way humans think, not like the eternal scroll which implies we’re all missing out. I still hold faith in the value of openness in digital creation, a notion which to this day allows a system of checks and balances in the foundational code of the internet. And the unshakable curiosity of that time in finding out what tools might be able to do, not just what we’re told they should do, still allows for invention at the local level. And I think that by supporting artists alongside engineers who are building tools to pull us out of this surveillance dark age, real progress can be made. Artists like James Bridle who is agressively re-examining metaphors we use for emerging technologies. And collectives like Deep Lab, born of Eyebeam alums, which provide a feminist perspective on hackng in 2015. The values of the early internet are not as concretely powerful as they once were, but certainly some of the naiveté of that time is what made the current world possible. After all, cynicism will collectively get us nowhere. There is a real possibility that some of those early ideas, grounded in a more wizened perspective, can find a foothold for resurgence and make more human-centered technological development possible. People, across generations, are becoming more aware of the hidden impact of their digital tools and the more this is made visible, through engaged art, the greater the chance for real change.